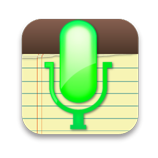 Online speech-to-text service and App for browser Google Chrome™. Designed on devices running Mac OS, Windows, Linux and Chrome OS. Онлайн сервис и приложение для браузера Google Chrome™. Для устройств под управлением Mac OS, Windows, Linux и Chrome OS.